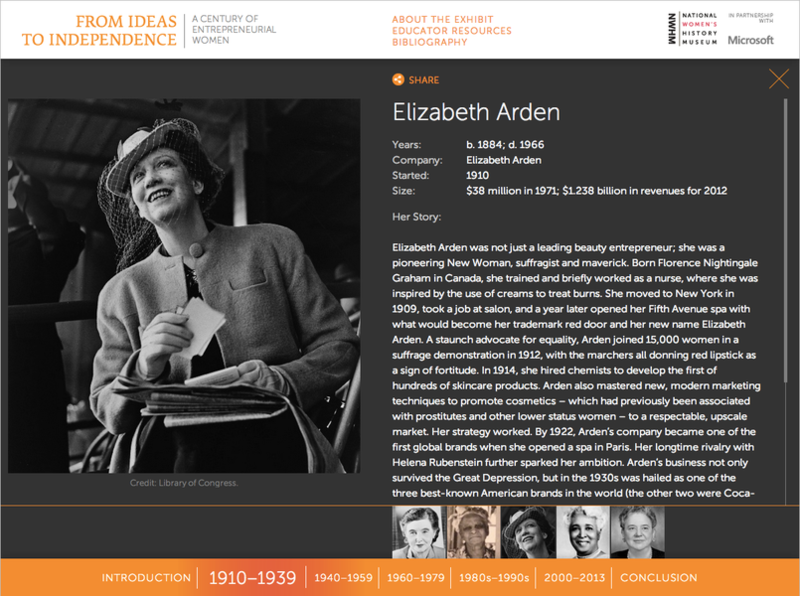 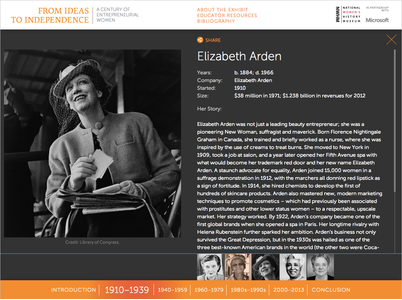 The National Women's History Museum in Washington, DC partnered with C&G Partners to create an interactive online exhibit featuring American women entrepreneurs throughout the 20th Century to present day. 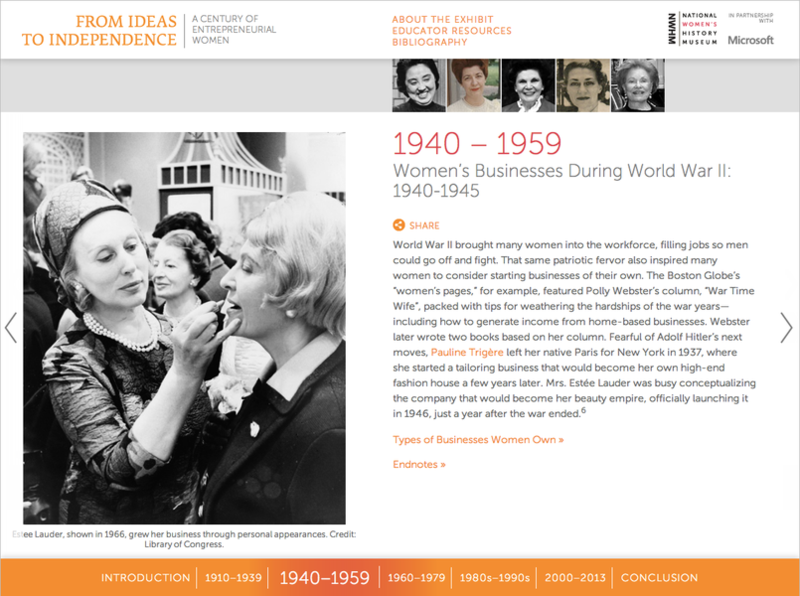 The exhibit celebrates and chronicles the legacies of entrepreneurial women who forged through challenges and setbacks to create their own paths to economic and professional independence, and open their own businesses. 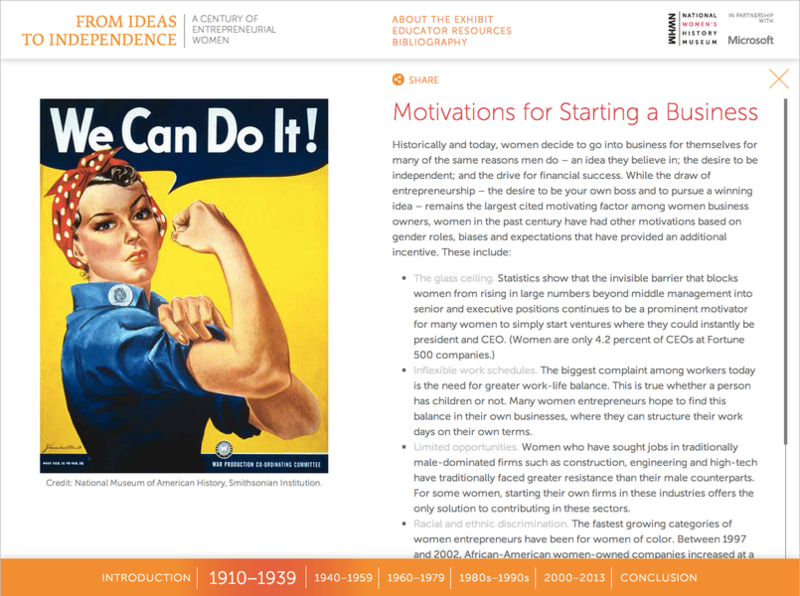 The women's stories were selected for their venture's simple beginnings, usually out of necessity or seizing an unrealized opportunity that ultimately ended in success, and aim to inspire the next generation of entrepreneurs. 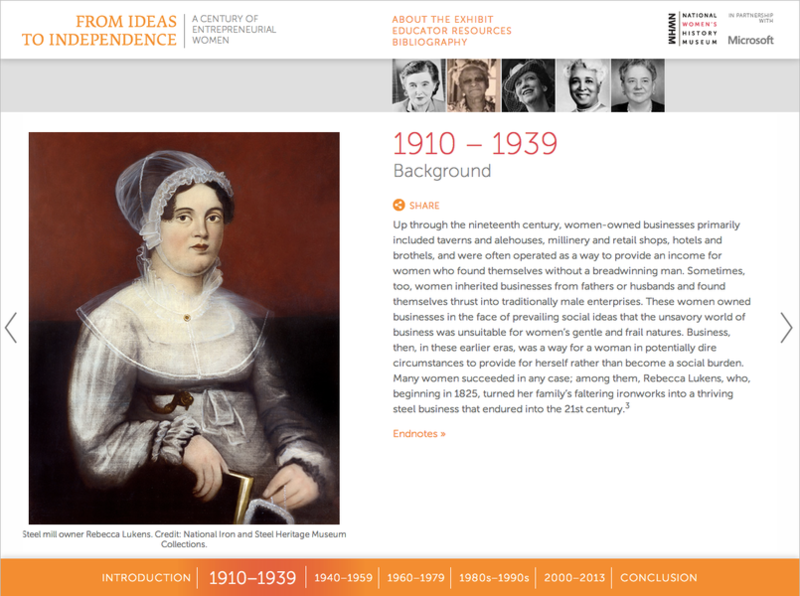 The exhibit’s narrative is organized on a timeline linking to the entrepreneurs’ bios and other historical milestones.